60mm tapered, suede backed and stitched, genuine leather gun sling with a cowhide inlay. 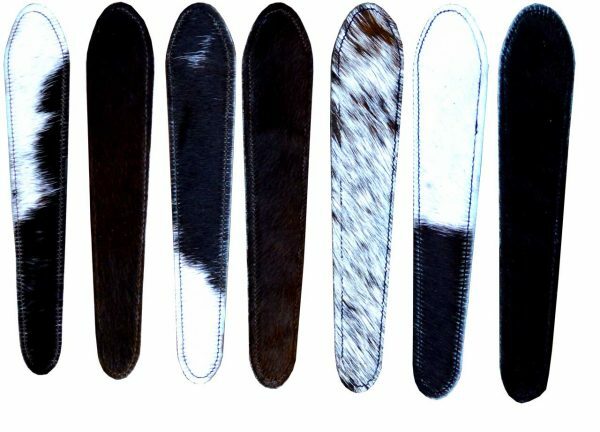 Each inlay is a unique piece of cowhide. 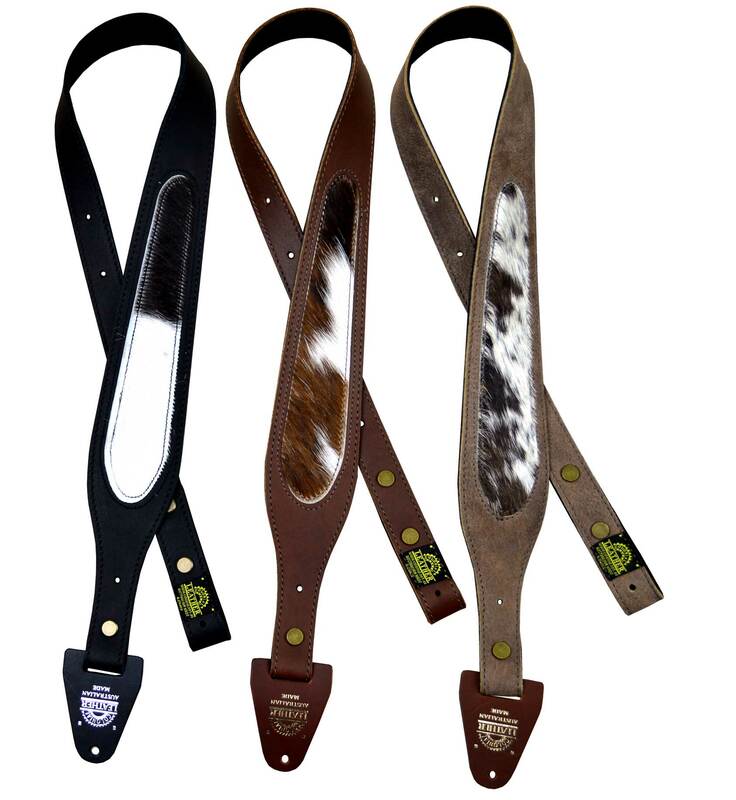 Cowhide Inlay SlingExcellent finish and lovely soft leather with outstanding stitching, The shape fits comfortably on the shoulder which is important when attached to a Weatherby Mark V ( a heavy rifle). I have slings on nearly all of my rifles ( 18 Slings 2 of which are Colonial Leather Slings) and I will be purchasing more of the Colonial Leather Slings. And I would have no hesitation in recommending them to anyone who wants a unique and comfortable rifle sling at a very competitive price with very fast postage and outstanding customer service. The cowhide gives a nice unique feature that is not present on many other slings and also gives the owner a sense of pride in knowing that no other sling will be the same as his/her own. In short they are a fantastic sling that is unique and comfortable.